Young NMMU-Madibaz rugby star Jeremy Ward goes into every match as if it were his last. 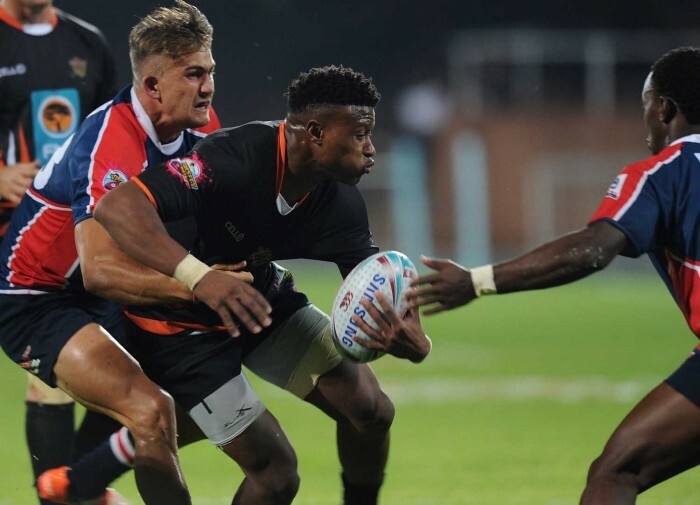 “Someone once told me to leave everything between the four lines and that is what I try to do every time,” the 20-year-old BCom Accounting student said after the opening round of the FNB Varsity Cup. He was one of the players who had put his body on the line in a bruising encounter against UJ. “Every individual gave their very best and really bought into how we want to play as a team. The outside centre said his main focus was now to cement his place in the Varsity Cup team and, with time, he would like to play a leading role. Further down the line, Ward has his sights set on the Eastern Province Currie Cup team and, beyond that, he would like to play for his country. The former Grey High pupil showed his leadership skills when he led the EP Kings to the U19 Currie Cup title last year. His high-intensity training regime reflects his attitude in the pursuit of his goals. “I’m always looking for areas of my game that I can improve on. If you want to get somewhere, you should not shy away from putting in the extra hours. Madibaz head coach David Maidza said Ward showed a maturity and understanding of the game beyond his years. “He is a born leader both by action and by his motivating speeches. Ward, who said he drew inspiration from the way players like Jean de Villiers and Dan Carter played the game, has not lost sight of life beyond rugby.